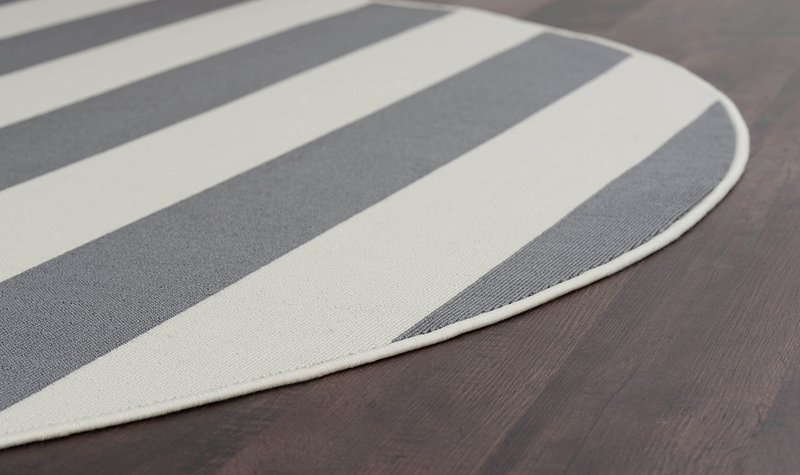 Give your porch a seaside update with the Gray & Ivory Stripes Indoor/Outdoor Rug - 8 Ft. Round. 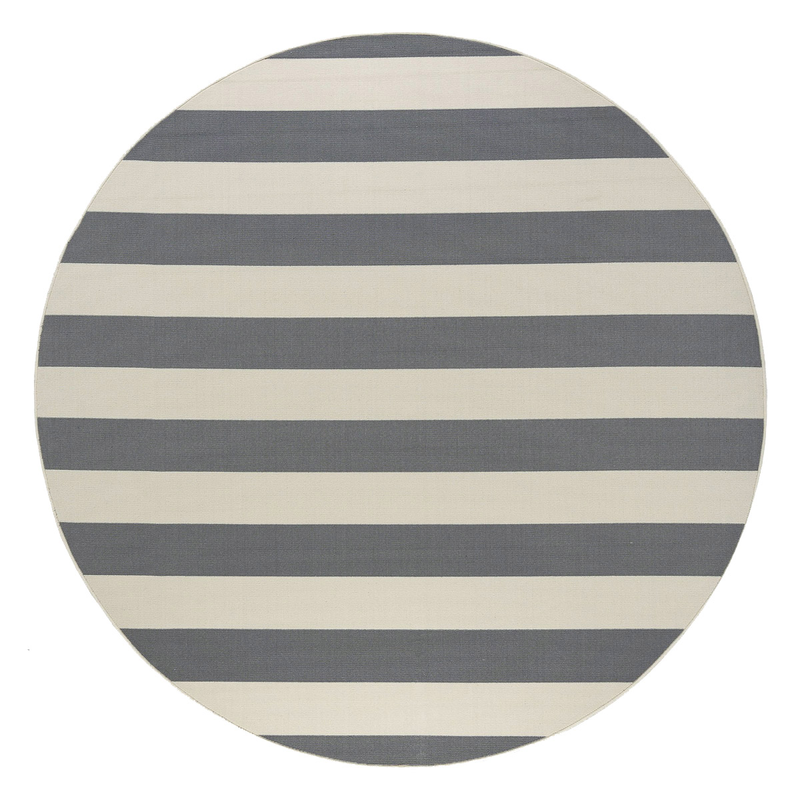 Crafted with bold gray and cream cabana stripes, this indoor/outdoor area rug makes a beautiful accent.